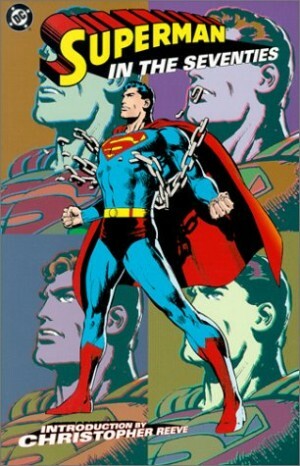 Lex Luthor has existed almost as long as Superman, but as displayed in this trip through the ages, he’s had many more personifications. There’s been the throwaway red-haired mad scientist, the familiar bald technological genius, the zoot-suited super-villain, the manipulative corporate CEO and, briefly, President of the USA. From the 1940s material supplied, Luthor appeared to be another assembly line one-shot menace introduced by Superman’s creators Jerry Siegel and Joe Shuster, but his fate altered when seized upon by those producing Superman’s newspaper strip. Given a comic for reference, artist Leo Nowak allegedly mistook a bald henchman for Luthor himself, and when Luthor next appeared in the comics he was his familiar bald self. 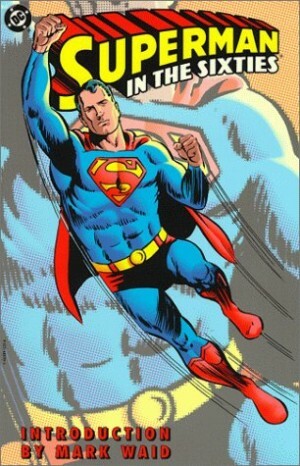 Years later in a Superboy story Siegel would explain their lifelong enmity, discarding the early cruder stories. A pattern emerges in these ur tales of Luthor wishing to prove himself Superman’s physical match while taking intellectual superiority for granted. He teams with the Joker, and in the most inventive pre-1980s story, the work of Bill Finger, he tricks Superman into carrying a representation of the Earth around with him. 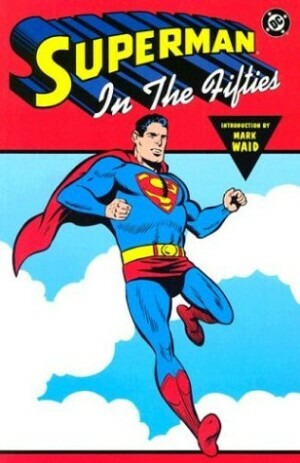 The best that can be said about most of these tales is that they’re of their time, but several have nice Curt Swan art. There’s plenty of that throughout this collection, his best on a Cary Bates offering in which Luthor reforms on a planet where he’s considered a hero. It’s one of several 1970s stories where Luthor’s almost humanised, showing remorse for senseless deaths, and hero-worshipping a greater intellect. While the Bates story keeps us guessing, the others somehow ring false and inconsistent separated from their brief era. 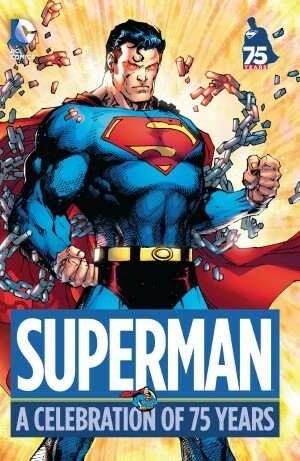 When John Byrne re-booted Superman in 1986 Lex Luthor was also given a credible makeover, recast as a malign businessman whose patents fund a lavish corporate structure. Both of Byrne’s stories showcase a cruel and remorseless single-minded man, well presented as too clever for his own peace of mind. The sample page is from a brilliantly conceived piece of manipulation that nails Byrne’s version of Luthor. The inclusion of a Grant Morrison JLA story is puzzling. 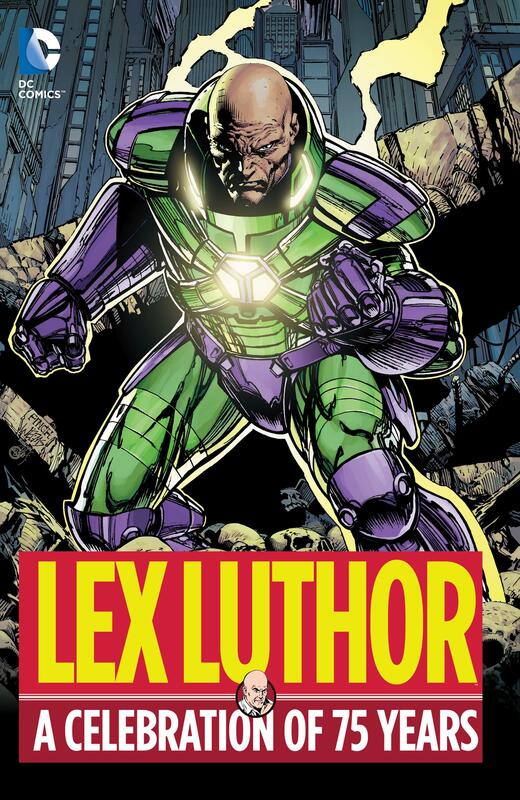 Luthor is hardly up front and centre, it’s poorly drawn by Howard Porter, and it’s the second chapter of a six. Surely something more appropriate from the late 1990s could have been found. Fortunately there is space to excerpt Morrison’s version of Luthor from All-Star Superman, exquisitely drawn by Frank Quitely. 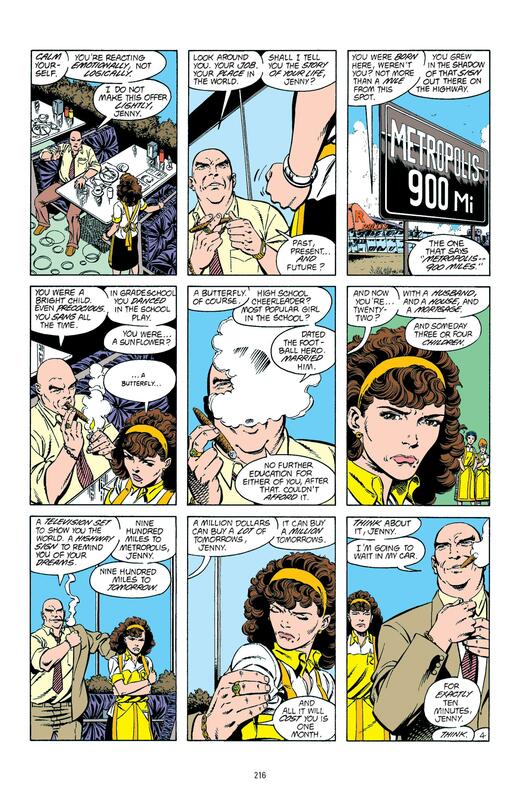 Morrison applies a multi-faceted prism to Luthor, via having Clark Kent interview him on death row, and it sequences well into Paul Cornell and Pete Woods presenting Luthor’s meeting with Death. That’s an intriguing game in the unusual circumstances of Luthor not being in control. The finale has Geoff Johns and Doug Mahnke in effect following up on an earlier story by Brian Azzarello and Lee Bermejo, with Luthor now convinced Bruce Wayne is Batman. That aspect is intriguing, but like much of the latter material it’s a few pages among many others dealing with other plots not resolved here. Would the book be a better product if these were excised leaving only the portions relevant to celebrating 75 years of Luthor? This skim through Luthor’s many incarnations is a flawed accumulation, not only due to irrelevant content, but because so many of the best Luthor stories have already been anthologised in Superman collections, so considered too exposed. What’s left sparks into life in places (Byrne, Morrison, Cornell), but too much is either so outdated or, while not mediocre, certainly nothing worth reading a second time.